Adani aims at building a capacity of 20,000 MW by 2020 - it has built close to 9,000 MW so far - which would involve more debt and pressure on the bottom line in future. 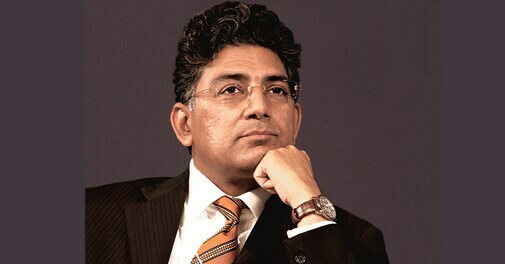 There are many parallels between the two prominent Gujaratis who are incessantly under the spotlight nowadays. First-generation entrepreneur Gautam Adani, Founder and Chairman of the $8.7 billion Adani Group, and Prime Minister Narendra Modi. Both these leaders are self-made, left home as teenagers and struggled for years before reaching the top echelons of business and politics. The 52-year-old Adani, a college dropout, started as a diamond trader on the streets of Mumbai in the early 80s. Modi, who is 12 years older to Adani, grew up as a Rashtriya Swayamsevak Sangh (RSS) worker and went on to become the national general secretary of the Bharatiya Janata Party in the mid 90s. 'The one-off benefit from compensatory tariff (compensation for higher input costs) has helped in standalone profits. The company [Adani Power] is still expected to make losses in the coming quarters,' says Dhananjay Sinha, Head of Research, Emkay Global. The paths of the two crossed for the first time in 2001 when Modi became the chief minister of Gujarat. By that time, Adani's ambitious port project was already operational in coastal Mundra, Gujarat. The port, conceived in the mid-90s, fitted well into Adani's strategy to emerge as an integrated infrastructure player and de-risk his business, then focused primarily on trading (mainly agricultural commodities). Between 2000 and 2010, India saw the rise of these two leaders in their respective fields. Indeed, Adani's ascent to the billionaire club is often credited to Modi. Adani often points out that Modi's focus on economic growth and governance in Gujarat benefited the industry at large, which led to some of the biggest industrial projects moving to Gujarat in recent times. Bombardier (metro rake facility), Tata Nano and Maruti Suzuki projects are cited as examples. The Adanis also stress that their operations are not entirely based in Gujarat. "The perception that the group is focused in a single state of Gujarat is actually not correct. Adani Group is well spread out," says Ravi Sharma, a former CEO of Adani's power business. Today, Adani's coal mine projects are located not only in India (Chhattisgarh and Odisha) but also in mineral rich countries such as Indonesia and Australia. The power plants are based in Gujarat, Maharashtra, Rajasthan and Madhya Pradesh. The ports are located in Gujarat, Goa and Andhra Pradesh. 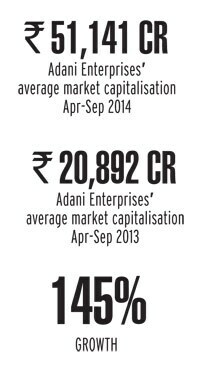 India's economic resurgence in the mid 2000s helped the Adani group to scale up rapidly. The infrastructure theme was then playing out in the stock market. When Adani listed his port venture - then Mundra Port & Special Economic Zone, now Adani Ports and Special Economic Zone - in 2007, the fledgling company surprised everyone with a market capitalisation of over Rs 50,000 crore. 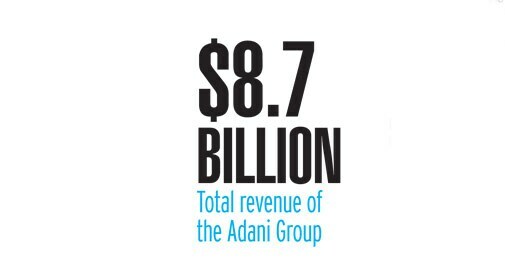 The listing also catapulted Adani into the top 10 billionaires club in the country. By 2006, Adani had also started ramping up his ambitious power generation business. Two years later, Adani Power, implementing a 8,580 MW project, got listed with a market cap of close to Rs 22,000 crore. Adani Enterprises, which was listed in the mid 90s on the bourses, moved from being a trader of agricultural commodities to trading coal and oil & gas exploration and distribution in the period. However, the liquidity squeeze in 2008, with the onset of the global financial crisis, slowly started impacting the Adani Group, particularly its power business. The policy paralysis and scams under the UPA regime only worsened the business environment. By the end of 2009, the three Adani listed companies had a combined market cap of around Rs 65,000 crore. As the GDP growth plunged from 8.5 in 2010/11 to 6.5 per cent in 2011/12, it compounded Adani's woes. Adani Power, with power capacity in four different states, came under severe financial stress. In addition, the dependence on expensive imported coal for power plants, low tariffs and subsequent delay in pass through of rising power cost to the end user (by the government) impacted its profitability. 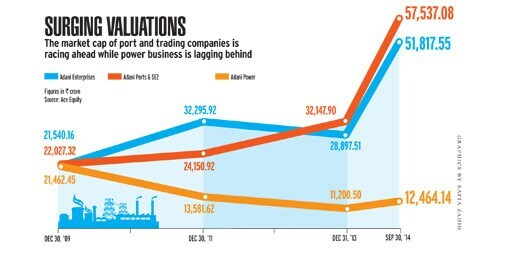 Adani Power plunged into losses in 2011/12. It reported standalone profits of Rs 595 crore on revenue of Rs 11,600 crore in 2013/14, but continued making consolidated losses. "The one-off benefit from compensatory tariff (compensation for higher input costs) has helped in standalone profits. The company is still expected to make losses in the coming quarters," says Dhananjay Sinha, Head of Research at equity research firm Emkay Global. Adani has set a target of building a capacity of 20,000 MW by 2020 - it has built close to 9,000 MW so far - which would involve more debt and pressure on the bottom line in future. 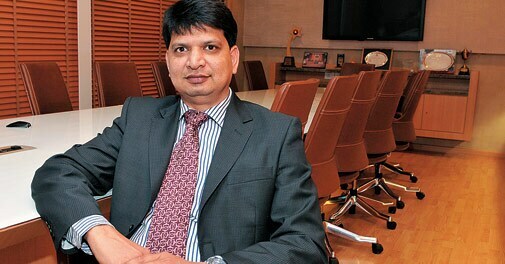 "The target is part of the larger mandate, which the group now thinks is more prudent through M&As," says K. Shankar, Associate Director (Institutional Equities) at Edelweiss Financial Services. Adani Port and SEZ - with facilities in Gujarat (Mundra, Dahej and Hazira), Goa and Visakhapatnam - has had a good run over the last few years even though the overall downturn in the economy impacted the SEZ operations. The company today handles 100 mmt cargo in 2013/14, a big jump from 35 million tonnes in 2008/09. The slowdown also made it difficult for the SEZ in Mundra to get big companies for generating additional cargo volumes for the Mundra Port. But Adani is on an expansion spree. "The recent acquisition of Dharma port in Orissa and focus on the eastern coast should help in sustaining the growth momentum with the traction in existing port assets in West coast to aid overall performance," says Shankar of Edelweiss. In the pipeline are ports in Tune Tekra and Kandla (Gujarat), Mormugao (in Goa) and Ennore in Chennai. Adani Enterprises, the oldest of the three listed entities, has faced issues in its international acquisitions. It's the holding company of the group and also controls its key mining business besides oil & gas exploration, logistics and power transmission. The coal mining operations in Indonesia were impacted because of changes in policies of the country. The Indonesian government changed the rules to allow domestic companies to own a majority stake. The coal prices were also benchmarked with the high international prices - it was a setback for the company as it no longer had access to cheap coal, impacting margins. Adani Enterprises has slipped into standalone losses in the current year but made consolidated profits. The standalone losses were primarily on the back of forex losses and higher expenditure. Bank of America Merrill Lynch analyst Bharat Parekh listed out downside catalysts as the start of $6.5 billion capex at its coal mines in Australia. The report on Adani Enterprises in May 2014 also says that, "the pick up in domestic coal production could impact its imported coal trading and logistics business". Meanwhile, Adani Enterprises' total debt swelled from Rs 17,438.85 crore in 2009/10 to Rs 71,979.92 crore in 2013/14 . "At the consolidated level, Adani Enterprises has a debt-equity level of less than 3:1, which considering the 70:30 debt-equity ratio to fund infrastructure projects in India cannot be termed as over-leveraged," says Shankar of Edelweiss. Clearly, Adani also paid a price for his proximity to Modi. Congress vice president Rahul Gandhi has consistently targeted Adani and Modi as an example of crony capitalism. Adani was cornered for environment violation in projects by the previous United Progressive Alliance government last October. His younger brother Rajesh Adani was arrested by CBI in January 2013 for evasion of taxes and duties. Adani, whose business of power and mining is highly dependent on government policies, found himself caught in a policy logjam with delays in availability of coal linkages, hurdles in land acquisition and lack of reforms in state electricity boards. The man who could do no wrong till recently was fighting a battle of survival. "The Adani companies from the business side neither gained nor got impacted due to the perceived political proximity. Their performance was in line with all the other asset developer," says Shankar of Edelweiss. But a Congress-led or a third-front government after the 2014 general election would have meant disaster for Adani, asserts the CEO of a financial services company. But by January this year, the stock market was humming a Modi wave. The market started discounting the Modi factor. While the Sensex jumped 14 per cent between January and May 16, 2014 (the day the election results were announced) Adani stocks had a smart rally. Adani Enterprises was up by close to 100 per cent from Rs 268 to Rs 531 per share. Adani Ports & SEZ gained close to 44 per cent from Rs 156 to Rs 225 a share. And Adani Power rose 41 per cent from Rs 39 to Rs 56 per share. The rise in Adani stocks continued after Modi took over as the Prime Minister. Today, the market cap of three listed companies stands at Rs 1,12,572 crore (as on October 17, 2014). Not surprisingly, then, Adani companies have improved their ranking significantly in the BT 500 list. Adani Ports & SEZ is ranked 35 (last year it was 43), Adani Enterprises 36 (last year 62) and Adani Power 97 (101 last year). Indeed, Adani is smiling again. A bit shy, he has been spotted by Modi's side on several occasions right from the swearing in ceremony of the new government. Adani was seen during Modi's meeting with Chinese President Xi Jinping and later was part of the business delegation that accompanied the Prime Minister to the US. 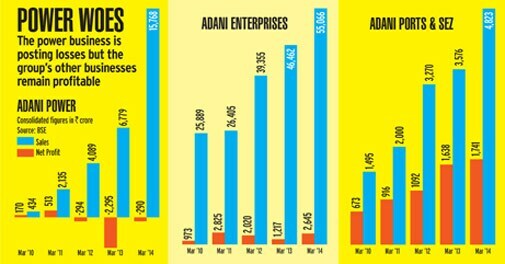 Modi's arrival has cheered the industry and Adani too seems to be in high spirits. 'The perception that the group is focused in a single state of Gujarat is actually not correct. Adani Group is well spread out,' says Ravi Sharma, Former CEO, Adani Power. On the day of the swearing in of Modi, Adani made a strategic acquisition of Dharma Port in the east coast (Odisha). In July, the Mundra Port finally got the environment nod from the new government. In August, Adani surprised everyone when he acquired a 1,200 MW thermal power plant from Karnataka-based Lanco Infratech. 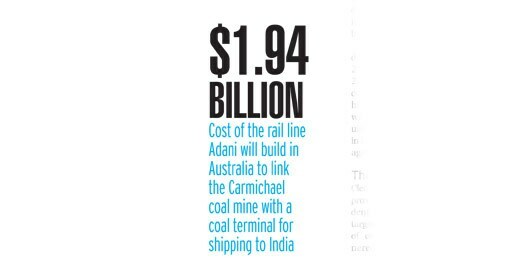 And last month (September 25), the Australian government allowed Adani to build a $1.94 billion rail line to link the Carmichael coal mine with a coal terminal for shipping it to India. The Adani Group has strategically positioned itself in the key growth oriented infrastructure sectors. "Gautam Adani is a man who has the ability of creating a grand vision and also has the ability to go to smallest details," says Sharma. Adani appears to be grabbing every opportunity for growth even in challenging times for the economy. "As and when the investment climate improves, the fortune of the Adani Group is expected to be even better," says Shankar of Edelweiss. The paths of the duo - Modi and Adani - are again crossing. Modi's "Make in India" gameplan will support Adani's vision of handling 200 metric tonnes of cargo at his half a dozen ports before 2020. Similarly, Modi's focus on power for all will help Adani make 20,000 MW of power capacity group a reality by 2020. Adani, whose son, nephew and younger brother also work for the group, once made a scathing remark on politicians "I'm not attracted to those politicians who are short on vision and only want to make money. I like those who have vision." Adani now seems to have a supportive political environment to realise his vision of creating an integrated infrastructure behemoth.